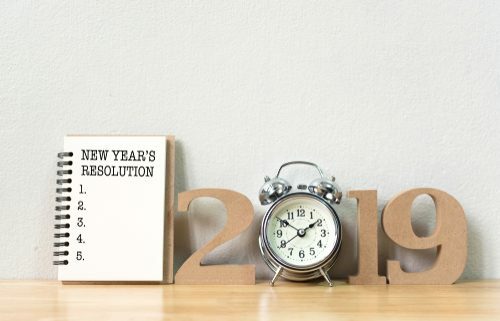 As 2018 has come to a close, it is time for Self-Directed IRA investors to lay out a track to run on for 2019 – and ensure everything goes to plan as much as markets will allow. This means taking some concrete actions, both within your Self-Directed IRAs, in your retirement accounts, and from a financial planning perspective in general. 1.) 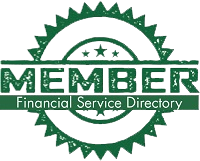 Review and update your beneficiaries on all Self-Directed IRAs and all other retirement accounts, life insurance policies and annuities. 2.) Ensure that each account has both a primary and secondary beneficiary identified by name. 3.) Ensure that where there are multiple beneficiaries on any one account, that each beneficiary’s share is precisely defined. 4.) My attorney or financial advisor will have a copy of my beneficiary forms in his or her files. 5.) Finish funding your emergency fund – up to 3 to 6 months of estimated monthly household expenses. 6.) Complete or update your Last Will and Testament, updated to account for major new assets and investments, specific heirlooms and other properties of significant interest to family members, and reviewed for changes in familial status. 7.) Maximize allowable IRA and Self-Directed SEP IRA contributions for 2018 by April 15th, 2019. 8.) Complete a living will or health care directive, as well as springing power of attorney documents that enable family members to take action on your behalf in the event you are incapacitated. 9.) Complete a life insurance review and purchase amounts necessary to protect your family against the unexpected death of a breadwinner. 10.) Contribute the maximum allowable for 2019 in various retirement accounts – either in a lump sum by _____ date, or by setting automatic monthly contributions to hit the maximum level (given your income and eligibility). 11.) Take advantage of tax loss harvesting opportunities. 12.) Contribute enough to your 401(k) to get the full employer match. 13.) 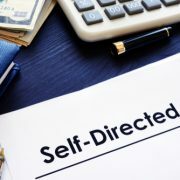 Open a Self-Directed SEP IRA, Solo 401(K) or Self-Directed SIMPLE IRA account, as appropriate, to maximize tax-advantaged retirement savings opportunities and maximize potential for self-directed retirement investing. 14.) Set up your basic monthly household expenses. 15.) 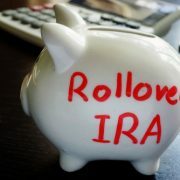 Purchase _____ new properties for your Self-Directed Real Estate IRA. 16.) Eliminate personal debt outside of a mortgage. 18.) Meet with your accountant mid-year and not just before April 15th. 19.) Check your credit score for errors at annualcreditreport.com. 20.) Minimize your exposure to high assets-under-management (AUM) fees and expense ratios by moving long-term retirement holdings to American IRA, LLC, where you only pay fees on actual transactions, rather than paying a percentage to a custodian to do next to nothing every month but send you a statement. 21.) Diversify into more investment asset classes, including alternative asset classes such as precious metals, tax liens and certificates, direct ownership of investment real estate, REITs, private lending, hedge funds (if you are an accredited investor), private debt and equity placements, closely-held companies, oil and gas opportunities, LLCs and limited partnerships. 22.) Double-check your Social Security projections. You should get a letter from the Social Security Administration around your birthday. 23.) Bank or invest all windfalls, or pay off high-interest debts, such as credit cards. 24.) Increase your savings and investment levels compared to last year. 25.) Cancel useless subscriptions and use the savings to pay down debt or invest for retirement. 26.) Open or contribute to a Coverdell education savings account (possibly including a Self-Directed CESA) or a Section 529 plan for your children or another family member under age 18. 27.) Complete a business succession plan, to include buy-sell agreements and if necessary, adequate life insurance in place to fund these plans. 28.) Complete and execute a disaster recovery plan for your business. 29.) Inventory household valuables and ensure you have adequate insurance to cover the contents. 30.) Update property insurance to cover the replacement value or adjust savings to cover the risk if you cannot afford the premiums for doing so.